News that police in Edinburgh are investigating alleged fund raising for the Kurdistan Workers Party (PKK), which is considered a terrorist organisation, has raised concerns that Turkish officials are attempting to intimidate the Scottish Kurdish community. News reports suggest that police have submitted a report to the procurator fiscal following an investigation. However Scottish Solidarity with Kurdistan (SSK),which promotes awareness of issues in Kurdistan, is concerned that this comes at a time when the community and others in Scotland are increasingly concerned with the actions of the Turkish government in attacking Kurds in Turkey and in Syria. “The Kurdish community in Scotland is made up mostly of people who fled Kurdistan due to the oppression they suffered under the regimes in Iraq, Iran, Syria and Turkey. They have settled in Scotland, got jobs, started businesses and raised families. Many are from Turkey where they suffered violence and victimisation as Kurds. In the past couple of years they have watched as the Turkish government have ended any dialogue about peace with imprisoned Kurdish leader Abdullah Ocalan and other Kurdish leaders, including the PKK, and stepped up violent attacks against the Kurds and their representatives. Last year many participated in protests in Scotland against the violence, the deaths of hundreds of civilians and the arrest and imprisonment of hundreds of Kurdish activists and elected politicians including MPs and the co-leaders of the pro-Kurdish Peace and Democracy Party (HDP) Selahatin Demirtas and Figen Yuksekdag. They also protested at Turkish policies in Syria where Turkey in the past has supported ISIS and has recently attacked the Kurdish forces that have been fighting and defeating ISIS. In a sinister move last year some Kurdish people in Scotland were contacted by Turkish officials and advised not to support any protests as this could cause them trouble if they wished to visit Turkey in the future. Scottish Solidarity with Kurdistan has called for the PKK to be removed from the UK’s terrorist list and for Kurdish leader Abdullah Ocalan to be released from prison to allow him to lead negotiations for a peaceful solution to the Kurdish Question. “Millions of Kurds do not regard the PKK as terrorists but as part of their movement for justice. The PKK has repeatedly stated that they support a peaceful solution within the boundaries of the Turkish state and not a breakaway state. They held to a near 2 year ceasefire whilst negotiations with Ocalan and others took place and only when the Turkish President Erdogan put a stop to further negotiations and started a campaign of intimidation against the Kurds and their representatives did the ceasefire end. The violence of the Turkish state towards the Kurds is well documented, although receives little coverage in the UK. Over the past few years the PKK, which is based in southern Kurdistan within Iraq, has been to the fore in fighting and defeating ISIS in Iraq and Syria. In this role they were not viewed as terrorists but as freedom fighters and allies of America, the UK and those fighting against ISIS. 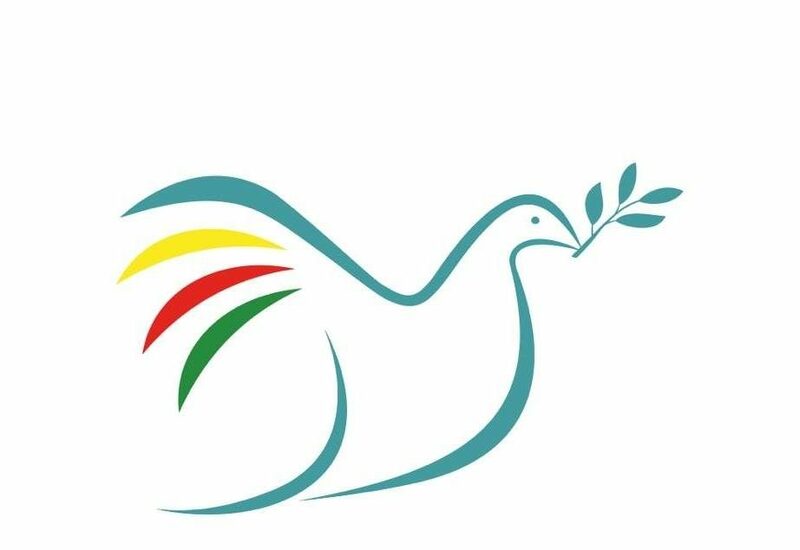 We oppose all violence and believe that, as in South Africa where the ANC and Nelson Mandela were regarded as terrorists, in order to achieve a peaceful democratic solution all parties need to be able to sit at the table and talk. That has to include Ocalan as the leader of the Kurds and the PKK. 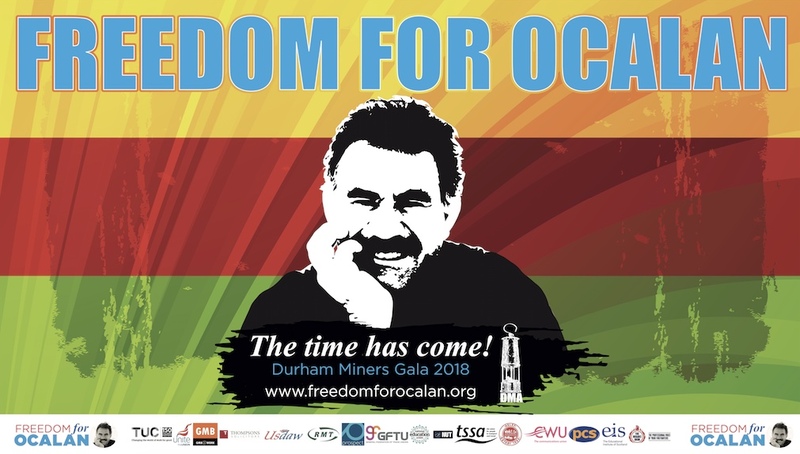 In Turkey anyone who expresses a view that Ocalan should be released from prison or that the PKK should be part of negotiations is branded a terrorist and can be, and often is, imprisoned be they an elected mayor or MP, a trade union activist, an academic or a journalist. 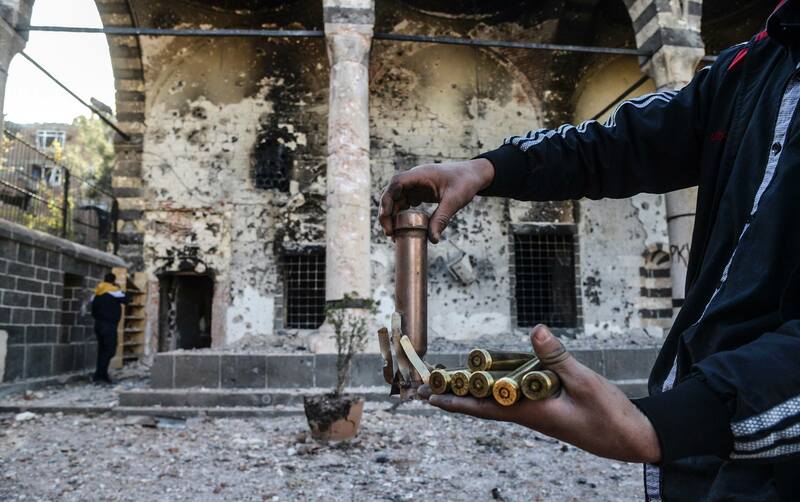 This has effectively criminalised the entire Kurdish community. Scottish Solidarity with Kurdistan was founded in 2015 and has been supported by a number of trade unions, the STUC, and politicians from a number of parties in Scotland. A number of SSK members have visited Turkey and met with Kurdish politicians and activists.